Nutellorcas: They will rock your world. If you are ever lucky enough to find yourself in Puerto Rico, you must begin your day at La Bombonera with a grilled mallorca. La Bombonera is this old restaurant that has been around since 1902, and I swear the same waiters have been there since I was a little girl. 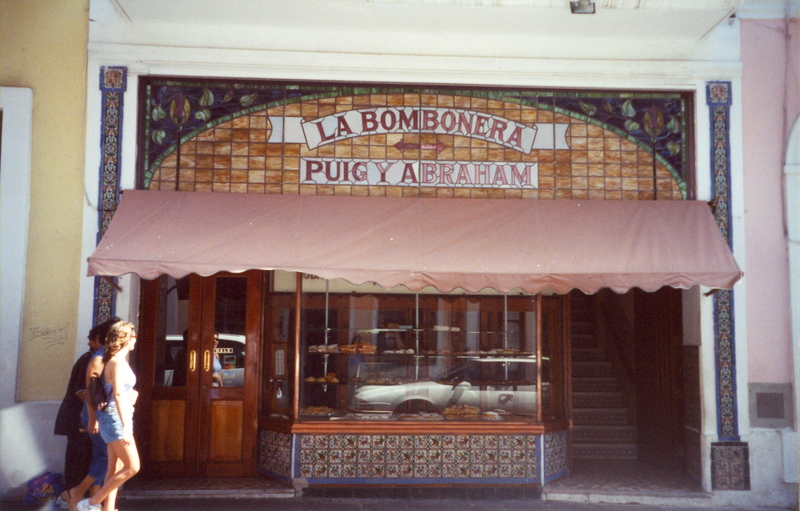 From the street, it just looks like a bakery, but that’s just the front of the place. It opens up to a restaurant once you step inside. My family has started each trip into Old San Juan with grilled mallorcas ever since I could remember. I like to accompany mine with a Coke (chocolate milk when I was little), but a cafe con leche from their ancient coffee machine is also a great option. Actually, it’s probably better to have cafe con leche, but I have my traditions. They do all sorts of different types of mallorca-grilling, but the only one I’ve had is the butter kind, where they slice the mallorca open, slather it with butter, close it up, slather the outside with butter, grill it, and then douse it with powdered sugar. Don’t worry about the calories. If you’re spending the day in Old San Juan, you’ll be walking uphill and down hill all day, and possibly being chased by pigeons if you hit all the good spots. You will definitely burn off the calories. And what, exactly, is a mallorca? It’s an eggy, sweet bread that is doused with powdered sugar that you will find as a staple in any Puerto Rican bakery. Truthfully, although they are good, I’d rather have them grilled, and La Bombonera is the only place that I know that does that. Wikipedia hasn’t heard of mallorcas yet, but an inquisitive friend sent me this link that will tell you all sorts of stuff about these little pastries. But a couple of weeks later, I glanced at the Nutella sitting in my pantry and thought of the remaining mallorcas in my freezer (they freeze beautifully, by the way), and my eyes began to tear up at the potential deliciousness of it all. And I wasn’t disappointed. All you do is slice your mallorca like you’re making it a burger bun, spread some Nutella on the inside, and close it up. Then spread the outside (top and bottom) with butter and grill it like you would a grilled cheese sandwich. Get it on a plate and douse with powdered sugar (a light sprinkling just won’t do). And there you are. A little slice of heaven. Please excuse the bad cell-phone photo. I didn’t want to go grab my good camera for fear that my hubby and son would devour them before I got back. It was so good. The Nutella kind of melted into the mallorca and got hot and gooey, the mallorca got crisp and buttery on the outside, and then the powdered sugar just adds a little bit of sweetness to the whole thing. I hope you give it a try, and if you do, let me know! 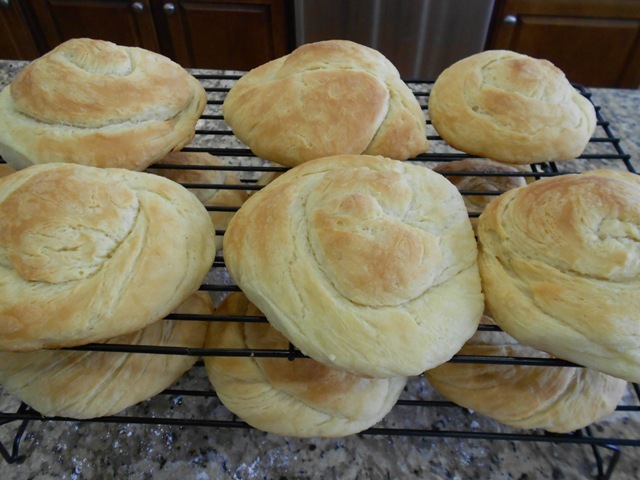 This entry was posted in recipes, sweet stuff on April 20, 2012 by aliciamariel.